According to the Eyecare Information Service, the eye examination is a vital health check and should be part of everyone's normal health regime. The Royal National Institute for the Blind (RNIB) have what they call an eye examination "Action Day" every year when the importance of eye examinations is promoted. The RNIB say that eye examinations are "an important health check that could stop you losing your sight" and ask when you last saw your optician. They point out that 50 per cent of sight loss is preventable and that an eye examination can detect problems you did not know you had to save your sight. The College of Optometrists recommend everyone to have an eye examination every two years but only just over half the population do so. An eye examination determines if you are seeing normally and can reveal other underlying health problems such as high blood pressure or diabetes. Unlike teeth, eyes usually don't let you know in an obvious way when something is wrong. The earlier a problem is detected, the better is the outcome. Similarly, if you have a problem, don't leave it in the hope that it will go away, it usually doesn't, and for some eye conditions, the sooner something is done the better. According to the Eyecare Trust in November 2008 20 million Britons are at risk of avoidable sight loss because of their regular failure to have regular eye examinations. They also reported that one in five children has an undetected problem with vision yet 50% of children under eight have never had a full eye examination. According to NICE, the NHS's National Institute for Health and Clinical Excellence, regular eye examinations are important in preventing falls among the elderly population. Falls cost the NHS over £900m per year! 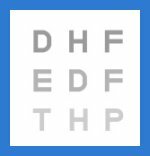 IS THERE A DIFFERENCE BETWEEN AN EYE EXAMINATION AND A SIGHT TEST? The normal sight test whether performed privately or carried out under the NHS requires all procedures to be executed for the purposes, amongst other things, of detecting signs of eye disease and referring to the GP. There is no requirement to diagnose although optometrists are permitted to diagnose. Private eye examinations may include procedures which are considered to be clinically advisable to arrive at a diagnosis and a management plan which may include referral for treatment. There would be an extra charge for procedures not covered under the NHS regulations such as measurement of peripheral vision and dilating the eyes of diabetics for binocular indirect ophthalmoscopy. Mr Brower is an optometrist (previously called an ophthalmic optician) and is university educated to examine eyes, prescribe and dispense spectacles, contact lenses and low vision aids. There are approximately 1100 registered optometrists in the UK. An eye examination involves the measurement of your standard of vision using a letter chart with and without any spectacles. The lenses which correct your vision best are determined and a check to ensure that the two eyes move properly and are working together is made. Your close vision is also assessed in a similar way using a reading and other charts. An examination of the back of the eye is also carried out to determine whether the eye is healthy or whether you suffer from high blood pressure or glaucoma. The results of these various assessments will be taken into account if you suffer from headaches, sore or aching eyes or you are not seeing as well as you think you should, in order to resolve your problems. It is very important to have your correction updated regularly to minimise the risk of increasing short-sightedness. Patients wearing spectacles which were slightly too weak for their eyes were found to have a greater increase in short-sightedness than those wearing the full correction according to a study by Professor Daniel O'Leary of Anglia University. D & J Brower Opticians utilise a computer-generated vision chart. This is the very latest method of accurately assessing the standard of vision and your eyesight requirements. The different targets presented to you will be exactly the correct type and size required for your individual needs and the letters can be randomised to eliminate the effect of memory. The upgraded version is even more sophisticated and there is also near vision software available. Computers can generate a whole range of complex images which are not possible on conventional eye charts. These newer targets enable a more accurate assessment of the optical characteristics of your eyes. The whole process of assessing your vision is made more comfortable and easier for you and the results obtained should be more accurate and reliable, thus ensuring that you should see even more clearly and comfortably with your new spectacles. Viewing a visual display unit (VDU) such as a computer screen has not been proved to be harmful to eyes or eyesight but the use of a computer can cause discomfort and tiredness for some people. Symptoms can arise from a variety of causes including uncorrected eyesight faults such as short-sightedness, long-sightedness, astigmatism or presbyopia, poor eye co-ordination, incorrect screen positioning or reflections and inappropriate lighting. When you go to D & J Brower Opticians you can expect a very high standard of care based on a good relationship between you and the practice team allied to professional excellence. Everything necessary will be done to determine your need for vision care following which you will be given all the important information and best advice about your visual needs. The members of the team constantly increase their knowledge and skills by keeping up to date through constant education and training. At D & J Brower Opticians you will be treated with politeness and consideration and your views will be listened to and respected. The Daily Telegraph reported that Gordon Brown struggled with his eyesight. The Prime Minister's close friends revealed that he could see only extremely large print and that he needed guidance at public events. Mr Brown, who was left blind in one eye after a rugby accident at the age of 16, addressed the issue in an interview when he admitted that he sufferred increasing problems with the other eye and had to have a cataract removed. A Gallup poll found that up to 14 million people might lose their sight by not having an eye examination. Three million of those at risk, the over 55s, had not had their eyes examined in the last two years. The Chief Executive of the Macular Disease Society concluded that the survey showed that people are lulled into a false sense of security. The head od Public Policy from the Royal Institute for the Prevention of Blindness (RNIB) pointed out that there is a need to raise the awareness of the importance of regulsr eye health checks. Other surveys have shown that 20% of children have eye problems, 10-20% of drivers fail the 20.5 metres number plate test and significant numbers of the elderly need updated spectacles. The prevention of eye disease in recent years has become increasingly important and as the science of optics moves forward, further more detailed assessments using advanced techniques have become more accessible. The prevention of glaucoma is becoming easier to detect with instruments such as the Perkins' Tonometer being used to accurately measure the eye pressure. This applanation technique is used in all eye hospitals and is the gold standard for accuracy of eye pressure measurement being considered more accurate and reliable than the air-puff type instruments. Other techniques for eye health assessment are described below. Pupil dilation increases the size of the aperture of the iris hence allowing a greater and three-dimensional view of the back of your eyes using special equipment. Visual field assessment is a means of measuring your side or peripheral vision using special equipment and is important in detecting glaucoma and in conditions affecting other parts of the body such as brain tumours. Contrast sensitivity is an assessment of your ability to see progressively paler or fainter targets and is used to detect glaucoma or multiple sclerosis. Contrast sensitivity is not possible with conventional eye charts but is quite easily achieved with the computer-generated vision chart. Gonioscopy is a technique used to view the angle of the front chamber of the eye to determine if someone is likely to have an acute attack of glaucoma. Some people have an iris positioned close to the front of the eye which is more likely to move forward and prevent the escape of the fluid inside the eye. This can occur suddenly and causes pain and redness to the eye and can result in complete blindness if not treated within 48 hours. A report in the New Scientist magazine claims that the rise in myopia (short-sightedness) is due to an increase in watching television and computer screens. Children who played more sport were less likely to become short-sighted. Children who read obsessively in poor lighting or who hold a book too close to their face could damage their eyes, according to a US eye expert writing in the British Medical Journal. Professor Douglas Frederick, Associate Clinical Professor of Ophthalmology at the University of California, San Francisco, wrote that myopia is on the increase after looking at a wide body of research. He said that in aboriginal people, the rates of myopia were rising to similar levels to those found in Western populations, as they were exposed to Western education systems. Risk factors in short-sightedness include parents being myopic, a high accommodation convergence/accommodation ratio, over-correction and particularly, under-correction of short-sightedness. A study of more than 650 patients, who previously had excellent distance vision, has concluded that the far sight may be adversely affected by the wearing of a near vision correction when used also for intermediate and distance vision. The article published in the journal of Ophthalmic and Physiological Optics recommends half-eye spectacles, bifocals or progressive (varifocal) lenses to help preserve good far sight. Astigmatism is a word you may have heard before. Astigmatism is an irregularity in the shape of the eye which causes a distorted blurring of vision both for near and far. Instead of the eyeball being completely spherical or round like a football it is more oval or egg-shaped like a rugby ball. If you press on a ball made of something soft it becomes irregular and out of shape and that is rather like how the astigmatic eye is shaped. It has been estimated that around 68% of people have at least the smallest measurable amount of astigmatism (0.25 dioptres) and that there are about 5 million people with significant astigmatism in the UK, 7% having between 2 and 3 dioptres of astigmatism and 3% having more than 3 dioptres. View the chart below at a distance of three metres to find out. Astigmatism may be detected by viewing the chart below from a distance of at least three metres. Are any of the lines clearer than any others? If they are, then you may have some astigmatism. Don't worry - it can't make you go blind and astigmatism can usually be corrected with spectacles.